Glam Morena: NYX Butter Gloss. This year NYX Cosmetics released tons of new products for 2013. 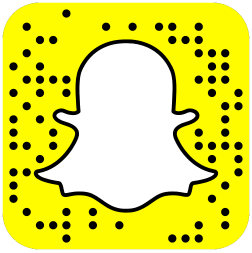 One of the products released were the NYX Butter Gloss. I love NYX lip products and definitely knew I had to try these. 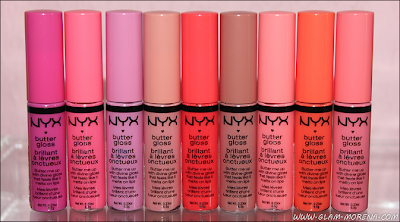 NYX Butter Glosses are available in 12 shades. Cherry Culture had them on sale for $3.50 and I ordered some from there. Also big thanks to Samantha for picking me up 3 other shades too. NYX Butter Gloss Shades in Strawberry Parfait, Peaches & Cream, Merengue, Cream Brulee, Peach Cobbler, Tiramisu, Apple Strudel, Cherry Cheese Cake, and Maple Blondie. Description: Add a little more sweetness to your lips with a touch of the Butter Lip Gloss available in 12 scrumptious colors! Get creamy sheer to medium coverage on your lips without that sticky sensation. It’s perfect for every sweet tooth! Strawberry Parfait, Peaches & Cream, Merengue, Cream Brulee. Peach Cobbler, Tiramisu, Apple Strudel, Cherry Cheese Cake, Maple Blondie. A closer look at the packaging for the NYX Butter Gloss. 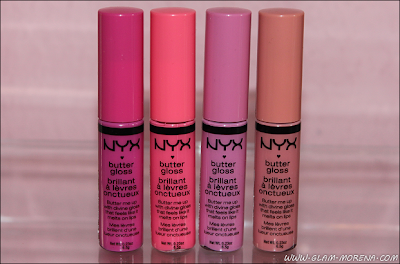 Packaging: The NYX Butter Gloss have simple and standard lipgloss packaging. The top coordinates and matches the color of the gloss. These glosses have the basic doe foot applicator. They contain 0.23 oz (6.5 g) of product. Texture/Formula: The texture is semi-thick and it's a creamy formula. I personally do not find them to be sticky. The formula is a sheer to medium application. There is absolutely no shimmer present and every shade is a cream finish. Scent: I love the scent of these! NYX Butter Gloss has a vanilla scent. It instantly makes you think of sweets and desserts. It's very reminiscent of the NYX Soft Matte Lip Creams. Pigmentation: Pigmentation will vary with each shade. It also will probably vary depending on the natural pigmentation with your lips. As stated above these apply sheer to medium. Some shades are more pigmented than others, especially the darker or brighter shades. Swatches of the NYX Butter Gloss Shades in Strawberry Parfait, Peaches & Cream, Merengue, Cream Brulee, Peach Cobbler, Tiramisu, Apple Strudel, Cherry Cheese Cake, and Maple Blondie. 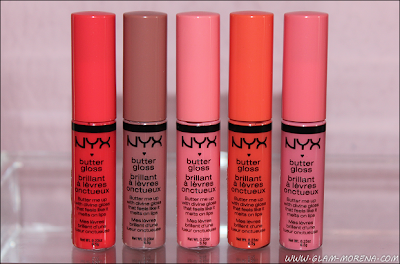 I definitely recommend the NYX Butter Glosses! The scent is great, the formula is nice, and they're very inexpensive. If you are not a fan of the NYX Mega Shine Lipgloss then you will probably like these a lot more. They are perfect to pair and wear with a lipstick. 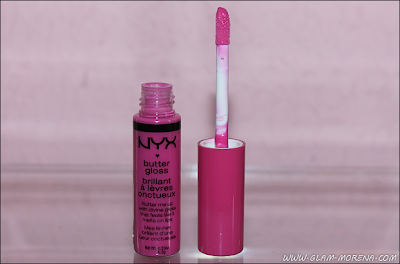 Have you tried the NYX Butter Gloss? Favorites? Thoughts? The colors look so beautiful!!!! I will surely try. I just spent my ULTA coupon y'de... so have to wait till next round! I don't know if you know. 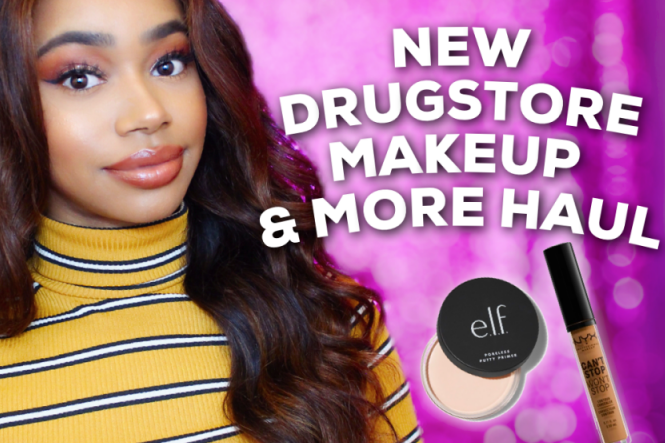 All Nyx products are 40% off this week. I have three of these. I'm about to order more.